In an ideal world, doctrine comes first. Doctrine matures, through experience, into principles, and together these lead to practices. Continually tested and re-tested, interwoven and interacting, these eventually produce a mature body of knowledge and practice. When they all work together, we may say that doctrine is strategic, principles are operational, and practices are tactical. For its first 50 years, peacekeeping was none of the above. There was no doctrine, there were not even definitions (peacekeeping is a term which to this day occurs nowhere in the Charter of the UN). The first attempt to address this was “An Agenda for Peace”, produced by the Secretary-General of the UN in 1992. This document, by no means universally applied nor even particularly widely accepted, did not mention peace enforcement, which is the subject of Chapter VII of the Charter. The UN Security Council, having only twice in its history authorized a peace operation in accordance with Chapter VII, in 1993 passed seven such resolutions in respect of the “peacekeeping” operation in the former Yugoslavia. Absent any doctrine, this strategic shift in peace operations produced no changes in force structure, strength or even rules of engagement – mission creep was born, and the international community thus crept forward to Srebrenica, Rwanda and Somalia. Somewhat belatedly, to put it mildly, the Secretary-General did produce in 1995 “A Supplement to the Agenda for Peace”, which at least mentioned enforcement operations, without providing much else which might have guided those trying to effect this new wave of mandates. The Supplement also opened the door, even if only a crack, to prevention and to analysis, both of which are fundamental to Ben’s approaches to conflict analysis and transformation. So if on reading this book, you find some of it self-evident, know then that what is in this book was never at all clear to your predecessors, and that if you enjoy today a mature body of doctrine, principles and practices, know then that you stand on the shoulders of those to whom it was never thus. In my first trades course, as an infantry signaller, I was taught four principles of communications: brevity, accuracy, simplicity, security; codeword BASS. And it remains the essence of communications that “brevity is the sole of accuracy”. The Peace Guerilla Handbook, at 15 x 10 cm and 83 pages, packs into your bush jacket pocket just about everything I didn’t know about peacekeeping when I was doing it, plus nearly everything I’ve learned since. Ben has taken most of the traditional principles of war and turned them inside out, to become the principles of peace. He is not the first to use more aggressive terminology than is normally used in peace studies and operations: Marrack Goulding, formerly Under Secretary-General for UN Peacekeeping Operations, entitled his memoirs Peacemonger; we call ourselves Peacehawks. Collaboration is the Peace Guerilla’s key philosophy and operating principle. The Peace Guerilla’s goal is positive peace. The enemy of positive peace is violence. 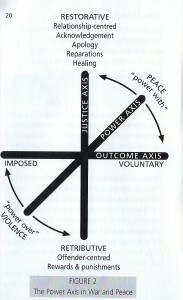 Violence is the use of power to impose and outcome on someone. The central objective of the Peace Guerilla is the transformation of power. The Peace Guerilla’s strategy, working with collaborators, is to determine the short- and long-term vulnerabilities to violence in order to remove or alter those conditions and actors who use power abusively, and to build constructive, creative forms of power – those that liberate (my italics). The Peace Guerilla understands that only when there has been a change in values, from those that sustain the abusive use of power to those that under-grid constructive uses of power, will sustainable peace be possible. The Peace Guerilla’s work is generational. … and how often have we tried to make that last point, to politicians and journalists: in peacebuilding, there can be no deadlines and usually no headlines – just slow, grindingly slow progress. We hope. Still. We are accustomed to things which are complex, and therefore difficult. We are accustomed to things which are simple, and therefore easy. We are often completely thrown by things which are simple, but very difficult. Think about giving up tobacco, or alcohol or – if you can – violence. The apparent simplicity – “Just say no!” – belies the enormous difficulties we face. Make no mistake – there are plenty of places in this world where Guiding Principle Nr 6 alone can get you imprisoned, or killed. Maybe both. The degree of sovereignty of the individual Peace Guerilla, as implied in the “whole of problem” approach, may be a chimera. We have written elsewhere of the tendency of similar organisations and agencies to compete rather than to cooperate, perhaps just because their similarities give rise to apprehensions of competition rather than support. And just what is really meant about the removal of those “conditions and actors who use power abusively …”? The Peace Guerilla will eventually, in the pursuit of the “whole of problem” approach, encounter the state of governance in the parties to the conflict. It has been said that “government” is what is done; “governance” is how it is done. Experience has taught us that it is mis-governance which is the major and most constant source of conflict. Governments, even – perhaps especially – very bad ones having almost a monopoly on force, the lords of misrule can maintain and sustain violent conflict far beyond the capability of the international community, let alone a Peace Guerilla, to contain or to transform. In democracies, no matter how well or poorly they may be governed, the people essentially get the government they want, and that is the government they deserve. It may be very hard to imagine what the Russians, the Turks and the Americans, for just a few examples, have done to deserve their present governments. But it seems that their present leaders were democratically elected, and it is also likely that they could be re-elected tomorrow (after all, Sylvio Berlisconi, Vladimir Putin and George H.W. Bush won re-elections). This sets the stage on which the Peace Guerilla will act – and that means very carefully. Having said all that, it must also be said that it is not entirely necessary always to be strictly descriptive; it is acceptable to be prescriptive: to suggest what ought to be, rather than endlessly telling us what is – and that most of you already know anyway. “Those who ‘wage peace’ are challenged to transform the forms and expressions of power in a violent society or state from power over (violence) to power with (peace). 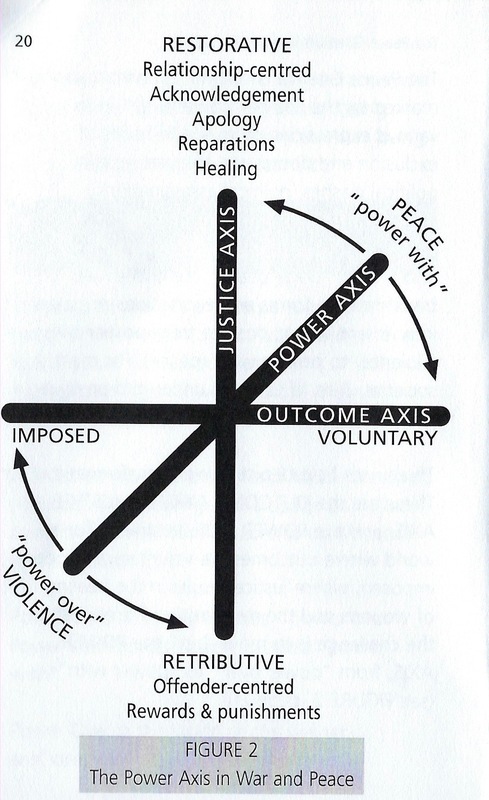 For most societies, Rule of Law will under-gird positive peace, ‘power with’.” (p 19). Can any outsider move the cursor “up” along that axis? We would like to think so, and thinking so is just one of the things which keeps us coming back but, after 40 years of this, we’re beginning to wonder. It may very well be that Ben is here being more prescriptive than descriptive; likely he is being both. However you see this, as what is or what might be, if you are truly interested in peace, especially if you have practical interests in such operations, you must for your own sake and for the sake of your partners and collaborators, read this book – put it in your pocket – and keep it there. Sometimes, Ben shows us, less is more. And don’t forget: simple does not mean easy.